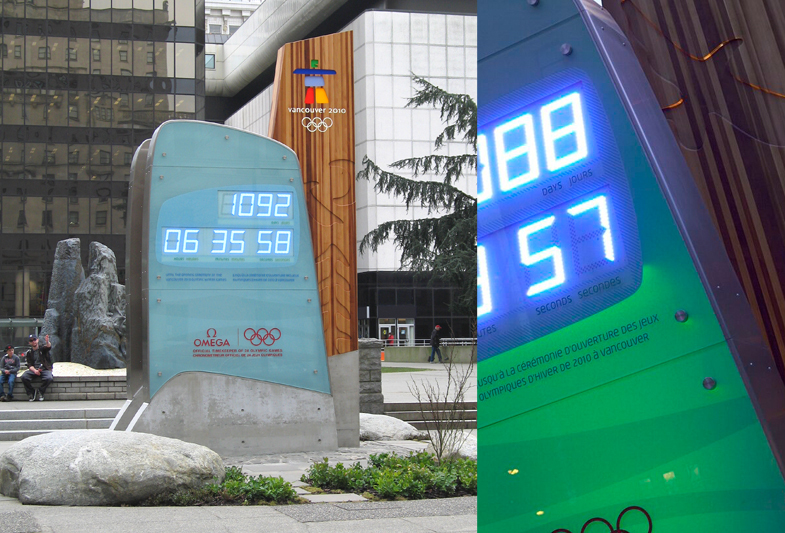 Commissioned by OMEGA, our task was to create a truly iconic landmark for the city of Vancouver counting down to the opening ceremonies. 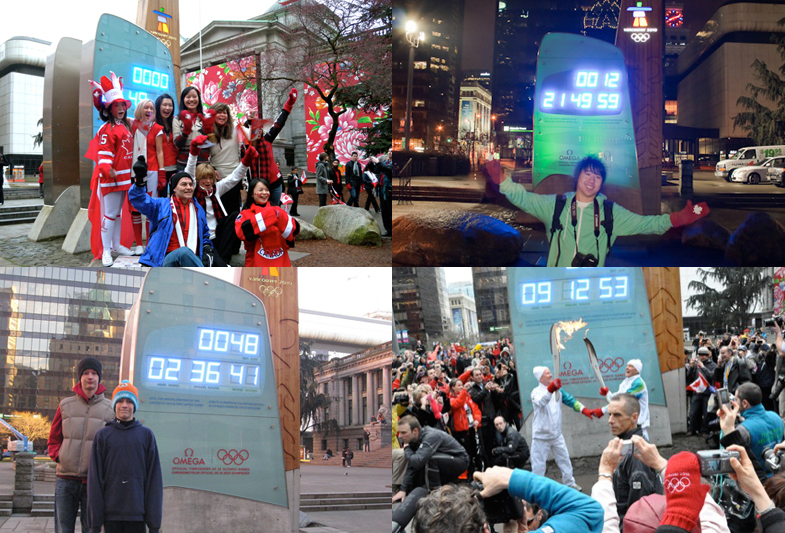 Their desire was to give the people of the city a sculptural piece of ‘public art’ to generate excitement about the games and to enhance the Vancouver 2010 and Omega brands at a time when there was little physical sign of the forthcoming events. 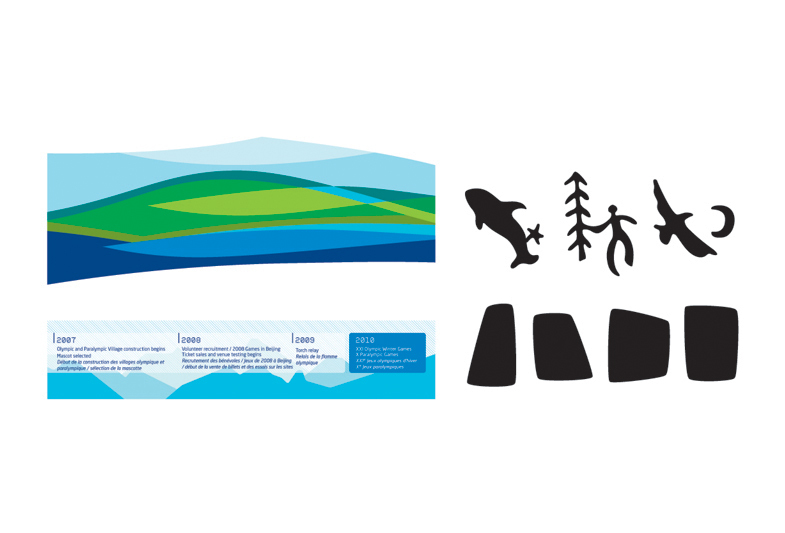 The pre-games ‘look’ concept of ‘Man + Nature in Harmony’ uses a beautiful landscape graphic and colour palette that give the games a unique and real sense of place. 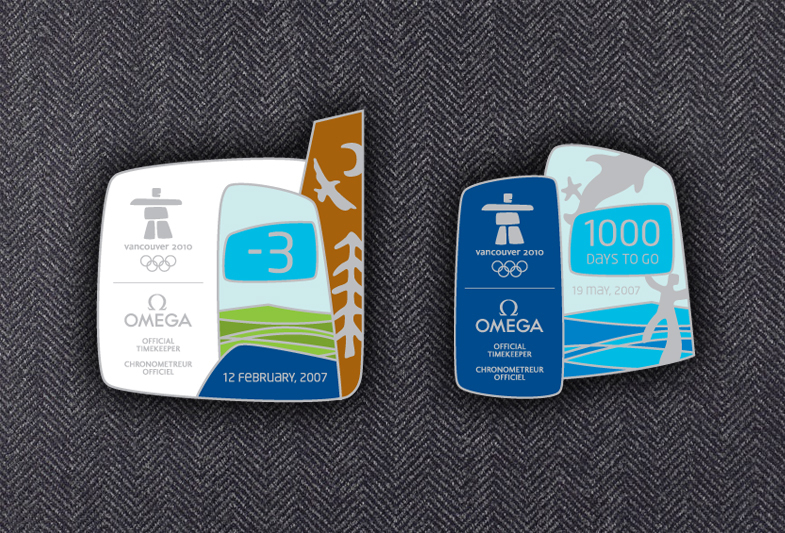 This provided our obvious starting point, but the brief called for something more than just a carrier for this graphic platform. 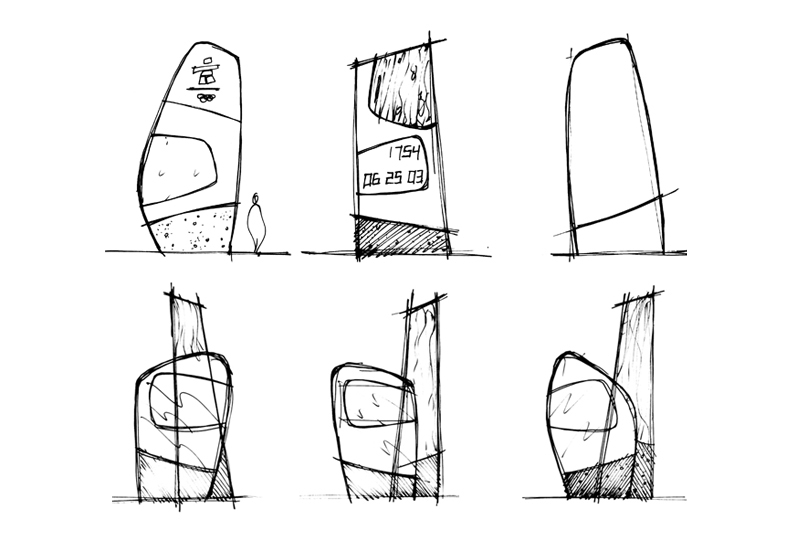 The sculpture created embodies these concepts but stretched it beyond the manifestations seen so far. We used materials which juxtaposed the modern city with the breathtaking natural surroundings on our doorstep. 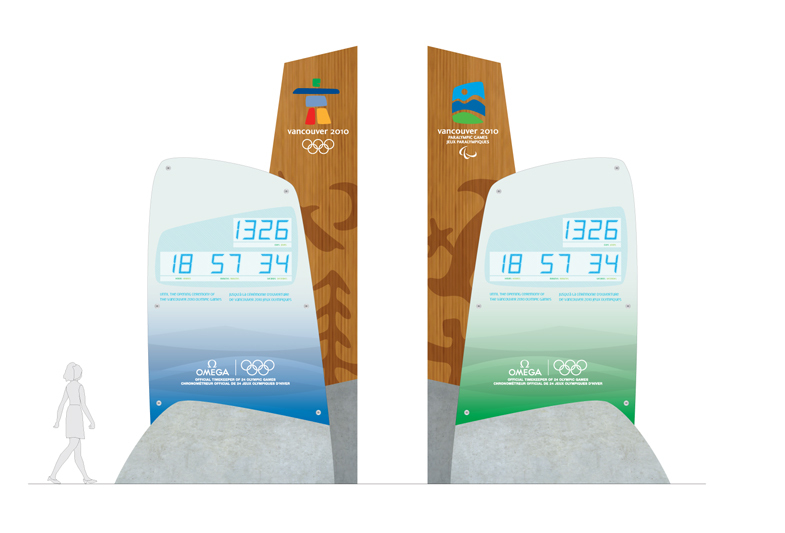 A column of Western Red Cedar forms the centrepiece, carrying the Olympic and Paralympic emblems and featuring carved icons inspired by ancient First Nations’ cave paintings found across Canada. 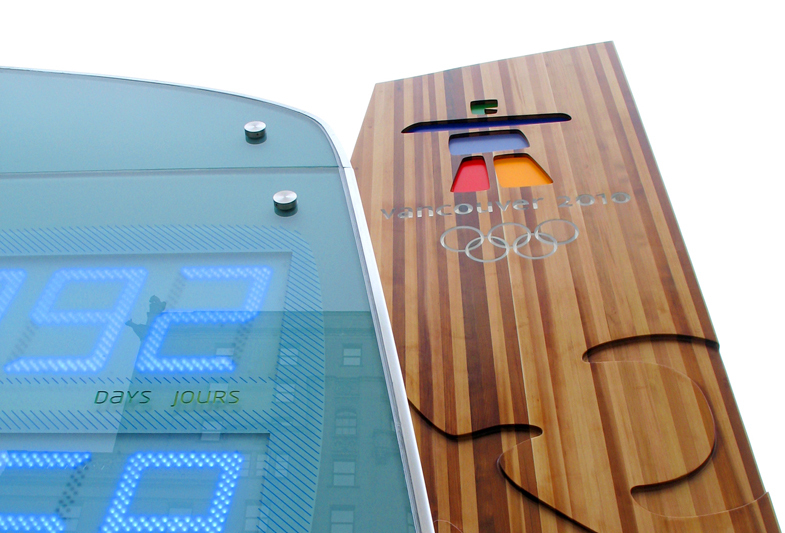 The clocks themselves are housed in glass and stainless steel structures symbolizing ice and water and an urban setting, all sitting atop concrete plinths. 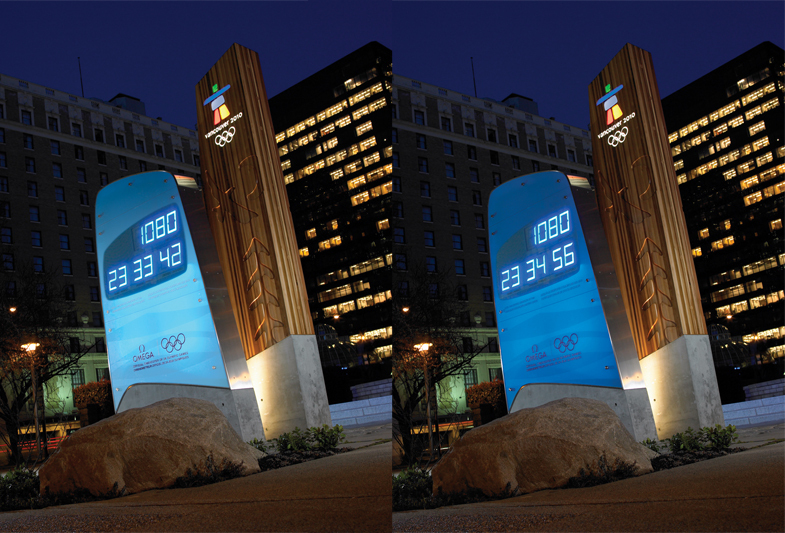 These materials are enhanced by a colour-changing internal illumination which introduces an ‘animated’ element at night with colours inspired by the sea-to-sky journey from Vancouver to Whistler.